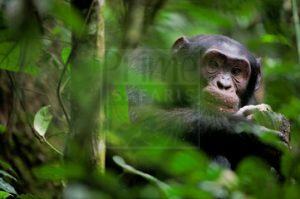 The 7 Days Rwanda Gorilla Trekking Safari, Rwanda Wildlife Tour, Chimpanzee Safari in Rwanda. 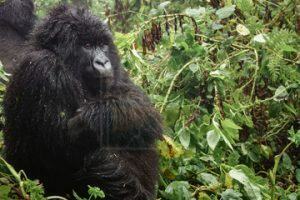 This 7 Days Rwanda Gorilla Safari offers you Gorilla tracking, relaxation at the cool shores of Lake Kivu then after you drive through beautiful landscape views to Nyungwe Forest for Chimpanzee trekking and canopy walks safari in Rwanda. This 7 Days Rwanda Gorilla Trekking Safari and Wildlife Tour in Rwanda takes you to the gorilla trekking region of Volcanoes National Park in the north west of Rwanda, the recreational beach experience encounters on Lake Kivu, Chimpanzee trekking and walking on the forest canopy in Nyungwe Forest National Park, Cultural and heritage encounters in Butare and Nyanza, wild game viewing and recreational boat cruise in Akagera National Park and eventually Gisozi genocide site in Kigali. You wake up early in the morning at your lodge for breakfast and embark on the transfer to Volcanoes National Park Park headquarters Kinigi. At the headquarters as you wait for the briefing time, you are treated for a warm cup of coffee served courtesy of Rwanda Development Board while being entertained by the Kinyarwanda dance troupes before the park rangers set to allocate the respective gorilla families and then briefing in your respective gorilla groups at 8am. After briefing you drive to the respective gorilla family trail heads to head to the jungle in search of the critically endangered apes. The hike through the volcanic slopes marked with steep slopes and dense vegetation beautiful in nature present amazing scenic views. The eventual encounter with the mountain gorillas as they forage to feed their huge tummies, attending to the frightening welcome of the silverback, watching the baby gorillas as they roll themselves on tree branches, play with other and respective mothers among other aspects will lure you into an unforgettable amazement. The one hour is availed to you to experience what you have heard, read and thought of for long and the remarkable pictures will form a lasting memorabilia for this lifetime experience that is so far the best in Africa. The gorilla trekking activity tends to last 2 – 8 hours depending on how long the gorillas have moved. You retreat from the activity and embark on the transfer to Lake Kivu – Gisenyi 110km about 2 hours’ drive to have an evening relaxation on the beaches powered by fresh cool air from the gingatic Lake Kivu which is the largest lake in Rwanda. You can opt to undertake a boat ride on the calm waters of this lake with no worries of crocodiles and Hippos. Retire for overnight. Settle for a relaxed breakfast on the shores of Lake Kivu which is the largest lake in Rwanda after which you embark on the drive to Nyungwe National Park 294km about 7 hours’ drive passing along the Congo Nile divide which acts as the separation of the water catchment area for two great African Rivers namely; River Congo and River Nile which is also the longest in the world. The magical sceneries of Lake Kivu are impressive to encounter en route. Arrive in Nyungwe in the evening for relaxation, dinner and overnight. After breakfast, embark on the transfer to Akagera National Park in the north east of Rwanda which is the largest National Park and the only savannah park in the country. You make a stop in Butare in the southern province for touring the National Institute of Rwandan Museums with a range of artifacts and impressive presentation. You can also pay a visit to the palace of the ancient Kings of Rwanda namely King Musinga and his successor King Rudahigwa. The site has a remarkable architectural hut and the remarkable Inyambo cows. You retreat from the encounters in Butare to embark on the drive to Akagera National Parka arriving in the evening for relaxation, dinner and overnight. Embark on a thrilling game drive along the rolling savannah plains of Akagera National Park along with its papyrus swamps that fringe the series of lakes and the rolling hills that are filled by counts of wildlife. The game drive offers you possibilities of viewing elephants, Buffaloes, Masaai Giraffe, Topis, Roan Antelopes, Lions, leopards, waterbucks among other wildlife. You retreat from the 3 – 4 hour activity and return to the lodge for relaxation and lunch. In the afternoon, you embark on the boat cruise on Lake Ihema which is the second largest lake in Rwanda. The cruise is a thrilling on the calm waters of this lake with possible views of Nile Crocodiles and Hippos and papyrus dwelling birds. Retreat from the activity in the evening for relaxation, dinner and overnight. After breakfast on the transfer to Kigali city 135km about 3 hours’ drive passing through scenic landscapes of eastern Rwanda with the impressive views of the area and the traditional long horned cattle. You arrive in Kigali and embark on the visit to the Kigali genocide memorial to pay tribute to the counts of Rwandese that lost their lives during the 1994 Rwandan genocide that befell Rwanda. You retreat from the activity and check in for your flight back home.